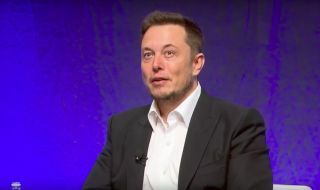 Elon Musk thinks the government needs to regulate artificial intelligence (AI) now, before it becomes dangerous to humanity, the entrepreneur told a gathering of state governors over the weekend. "I have exposure to the very cutting-edge AI, and I think people should be really concerned about it," Musk told attendees at the National Governors Association summer meeting on Saturday (July 15). "I keep sounding the alarm bell, but until people see robots going down the street killing people, they don’t know how to react, because it seems so ethereal." Musk isn't the only scientist to sound alarm bells over AI. Physicist Stephen Hawking has warned that AI could end mankind on several occasions. Not all scientists are convinced of the dangers of AI, however. Michael Littman, a computer scientist at Brown University, thinks the vision of a future in which humans are enslaved by robot overlords is purely science fiction.